2015 and 2016 CWL Instructor, Dan Rohn, managed the Traverse City Beach Bums to a 2015 Frontier League championship. We would like to congratulate Dan on the great accomplishment. With their 4-1 win Friday at T.R. Hughes Ballpark in suburban St. Louis, the Beach Bums clinched the best-of-five championship series over the River City Rascals 3-0. Third baseman Jose Vargas was named Championship Series Most Valuable Player. This is the first championship for the Beach Bums since the team debuted in Traverse City in 2006. They also become the 19th different team to hoist the Frontier League Cup since the league’s inaugural season in 1993. 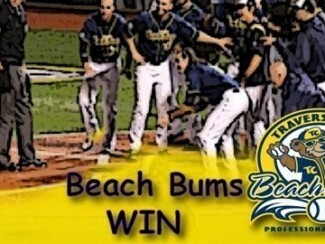 In the playoffs, the Beach Bums played some of their best baseball of the year, with a record of 6-0. In fact, going back to the regular season the team ended the campaign matching a franchise record with nine straight wins. The championship caps a magical year that saw the team win 56 games in the regular season and advance to the playoffs for the fourth time since 2010. The team advanced to the finals for only the second time in team history.